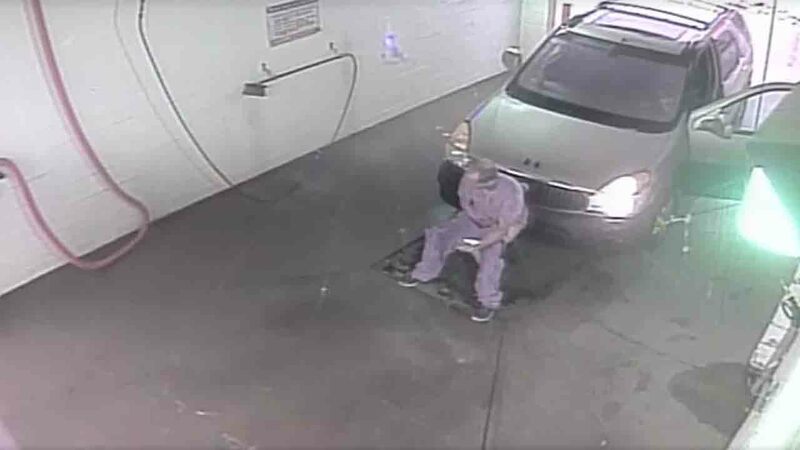 OWENSBORO, Kentucky -- A Kentucky car wash owner is asking for the public's help to identify a man they've deemed "Poopman." The owner of Soak-n-Wet Car Wash in Owensboro said a man has been using their facility to do his business on two separate occasions. According to surveillance video posted to the business' Facebook page on Tuesday, the man drove inside of the car wash area, walked to the front of his car, pulled down his pants (which look like scrubs), and then relieved himself over the drain. But the owner said that was the second time Poopman struck. Soak-n-Wet Car Wash posted another video pleading with the public to identify the man, saying, "Does anyone know this guy? It's a bird, it's a plane, it's Poopman!" In the second video, it appears that the man completely took off his pants when used the "bathroom." Police have been informed but it doesn't appear that they have any leads. But this isn't the first time someone defecating in public has made headlines. Earlier this month, a family in Colorado reached out to police to help find a woman they call the "Mad Pooper."